Say, you consume some dairy product like milk or cheese (I love cheese!) and find that after a few hours, your stomach feels funny, i.e. bloated or rumbling, chances are that you are lactose intolerant. Lactose intolerance is a digestive malfunction wherein, your body is unable to digest lactose (a kind of sugar) found in milk and dairy products. 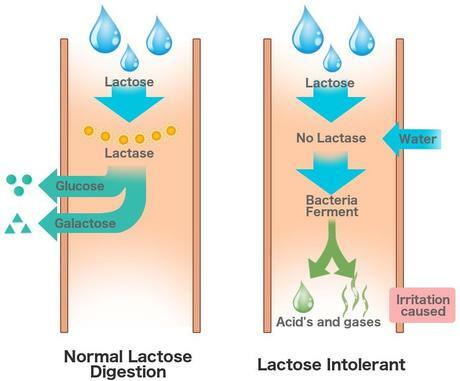 Lactose intolerance occurs when the large intestine fails to produce lactase, an enzyme required to breakdown Lactose. Based on several factors like age, lifestyle, food habits, people have a certain threshold i.e., a limit beyond which they should not intake dairy products in excess. So even though you might have lactose intolerance, you still might be able to consume your favorite dairy products up to a certain extent. To know exactly how much it is advisable to consult a Doctor. Despite the fact lactose intolerance receiving a lot of speculation and doubt, we are here to clear a few things that you might wanna know if you think you are lactose intolerant. 1 in 10 adults admits to having lactose intolerance. But usually, this is through self-diagnosis which is inaccurate and useless to some extent. 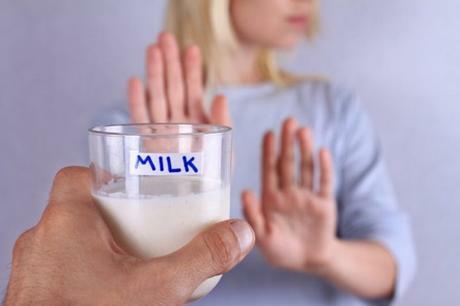 About 30 million American adults develop lactose intolerance by the time they turn 20 years of age. If you are experiencing symptoms of diarrhea, flatulence (gas) or bloating, you might wanna consult a physician to get a proper diagnosis. Yes, you can still enjoy your favorite dairy products. Dairy products are a rich source of nutrients and cannot be easily substituted from the main diet. Experts suggest that you should continue consuming dairy products despite having lactose intolerance as they are an indispensable part of our bodily vitamins and minerals. Even if you are lactose intolerant, experts will never advise you to completely ditch dairy products considering its healthy aspect. We mentioned earlier that the threshold dairy consumption differs from person to person, no two people are the same. Try a mix of low-fat and fat-free dairy with other foods. You might try cheese, yogurt and lactose-free milk. 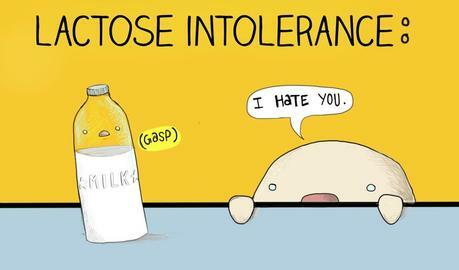 People make the mistake of associating lactose intolerance with 'allergy' of sorts. Rather it is milk sensitivity. That means that those with lactose intolerance can still enjoy dairy foods like natural cheeses, which contain less lactose, and may not experience any symptoms. Lactose intolerance is just the body's limited ability or inability to digest lactose. On the other hand, milk allergy is an immune response to a specific protein that requires someone to avoid milk completely. Lactose intolerance isn't any of that. If you're lactose intolerant, getting the right amount of important vitamins and minerals can be difficult since major micro and macronutrients like calcium, magnesium, zinc, protein, and vitamins such as A, B12, and D. Avoiding lactose may lead to emaciation and cause conditions like Osteopenia, Osteoporosis, and malnutrition. You may consider seeking the help of a dietician to chart out a meal plan to suit your body and at the same time replenish your essential nutrients from time to time as you go about your day-to-day activities. Passionate writer. Loves coffee and sensible conversations.